A picturesque Yorkshire Manor House with organic gardens and exciting exhibitions! If you are looking for something different to do then why not take a trip to this beautiful Yorkshire Manor House which is nestled on the quiet banks of the River Rye. Famed for its picturesque location, organic walled gardens with spring flowering meadows, flamboyant resident peacocks and a changing programme of exclusive and high profile art and photography exhibitions, Nunnington Hall offers something for everyone! 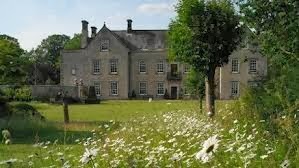 Nunnington Hall's history dates back to c1249 but it was three later families who shaped what we see today. The friendly volunteers who work there bring to life the family's stories and they may even tell a ghostly tale or two! Once you've had a wander around the house and have heard what tales there are to be told, why not relax in the beautiful gardens and take a leisurely stroll by the river and picnic under the weeping willow. To get a great view of the house, why not walk to the top of the cherry tree avenue which makes an impressive approach to the house. The garden itself is the perfect place to learn about how they manage the gardens organically, and how they use the home grown fruit and veg throughout the site, even in the tearooms. If you're thinking that the kids might get bored, guess again as there is plenty of fun things to do to keep the family entertained whilst they learn about the history of the house. They can dress up in 1920's clothes and play traditional board games, or they can find the bird hide, where they can spend the afternoon spying on wildlife whilst learning about how to make their own 'bug hotel'. As well as its organic gardens, Nunnington Hall is also known for its varied and high profile art and photography exhibitions and 2014 is no exception. The year is getting started with an exhibition of mixed media art by York College degree students and graduates, which will then be followed by the British Wildlife Photography awards. 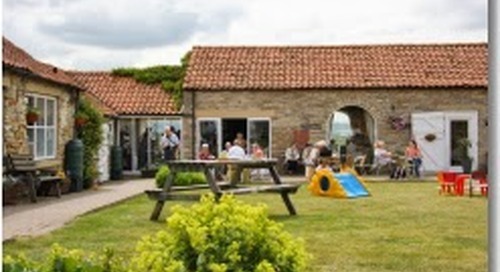 Only less than an hour's drive away, Whitby Holiday Park is the ideal location to base your stay before your day trip to the stunning National Trust house that is Nunnington Hall.